The Prime Minister in his independence day address in August 2014, announced the Prandhan Mantri Jan-Dhan Yojana as a National Mission on Financial Inclusion encompassing an integrated approach to bring about comprehensive financial inclusion of all the households of the country. He said that “the economic resources of the country should be utilized for the well-being of the poor. The change will commence from this point.” Financial inclusion is the process of ensuring access to appropriate financial products and services needed by all sections of the society in general and vulnerable groups such as low income groups and weaker sections in particular at an affordable cost in a fair and transparent manner by mainstream institutional players. India has pursued the goal of financial inclusion from 1969 following Bank Nationalization. Priority sector lending schemes were introduced, Regional Rural Banks were established, Service Area Approach was adopted and Self Hel Group-Bank linkages were promoted. Although these measures aided financial inclusion, it was not till the introduction of the Banking Correspondents model with Mouse and Click Technology introduced, could the financial inclusion be extended to the geographically dispersed areas. One of the remarkable changes that the Nation has witnessed in the past 3 years is the revolution in banking sector technology. Indian farmers were always concerned about the availability of adequate credit at reasonable cost in a timely manner. Financial inclusion was a major step in this direction. The Jan Dhan Yojana provided universal and clear access to banking accounts with overdraft facility. The Jan Dhan Scheme provided the bankers with the necessary confidence to promote credit culture across the deprived population and resulted in significant increases in credit flows to rural sector. In 2016, the Aadhar Act was promulgated as a money bill to ensure targeted delivery of financial and other subsidies benefits and services. The Act provided a legal backing to the Aadhar Unique Identification number project and provided for an efficient, transparent and targeted delivery of subsidies, benefits and services for all expenditures incurred from the consolidated fund of India to individuals, through assigning aadhar identification numbers for matters connected therewith. The third major step initiated by the Government in 2016 was the introduction of BHIM (Bharat Interface for Money) which is a mobile application developed by National Payments Corporation of India based on Unified Payment Interface. The BHIM application facilitates e-payments directly through banks and promoted the drive towards cashless transactions, enabling the user to instantly transfer money between the bank accounts of any two parties and can be used on all mobile devices. Collectively the Jan Dhan Yojana–the Aadhar Act and the BHIM Application have provided for a transparent government where subsidy flows reach the beneficiary in a timely and effective manner. Today the websites of almost all Indian banks provide internet banking services, mobile apps, credit card online portals, branch/ ATM locators and calculator facilities for debt repayments. The banking technology revolution coupled with the telecom sector revolution has created opportunities for cashless and electronics transactions. The JAM (Jan Dhan-Aadhar-Mobile) technology trinity enabled by payments through the Unified Payments Interface (UPI), has made mobile banking as simple as sending an email. Clearances using the National Electronics Transfer of Funds (NEFT), Real Time Gross Settlements (RTGS), Immediate Payment Service (IMPS) and Electronic Clearing System (ECS) are rapidly integrating into the mainstream banking sector activities. Fintech – the short form financial and technology has come to dominate the real world of banking. The new paradigm in banking is “banking is necessary, not banks”. Further there has been talk about the death of currency, with people adopting the use of smart devise swiping for purchases they make. The technological developments have changed the way banks and customers interact, and several new entrants not necessarily bankers have stepped in offering lower cost services to disrupt traditional business models. The customers are also younger generation who prefer use of social media and online transactions. The Reserve Bank of India has accepted that there has been a paradigm shift in the banking sector and has urged banks to take full advantage of the technological developments, enmesh them to meet customer expectations. The success of Fintech companies has been a game changer for small businesses and reshaping the financial services industry radically. 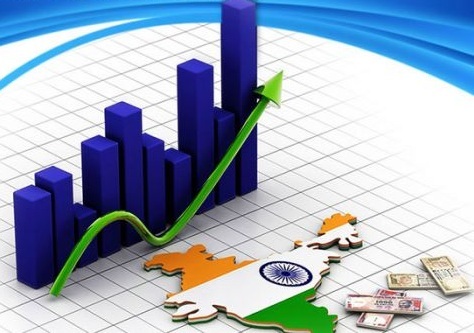 The Reserve Bank of India’s medium term plan for financial inclusion is that by 2021, over 90 percent of the hitherto undeserved sections of society would become active stakeholders in economic progress. The RBI has also presented a strong business case in catering to the undeserved sections of the society given the vast developments in the frontiers of digital technology. Each credit extended by banks to priority sector can change the lives of multitudes of people of India. You can subscribe for our updates.